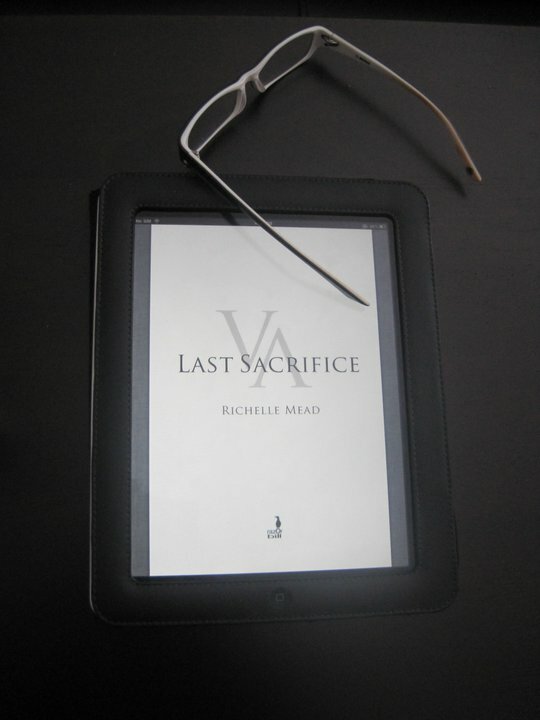 I don't know who the lucky owner of this e-book of Last Sacrifice is, but we know of a few people who've been fortunate enough to read the book two months before its release. Casey McIntyre and FlossAus, both publicists, are two of those people. Given this fact, I'm definitely considering a career change! Here are a few tweets exchanged between FlossAus and Richelle Mead about Last Sacrifice. Be aware, though, that these might be considered to be SPOILERS if you don't want to know anything about Last Sacrifice before the release.